Guitar cables are pretty simple part of your gear. Still, they can cause a lot of trouble if you don’t pick ones that aren’t reliable enough. A good cable definitely won’t make your guitar sound better. You won’t become a better guitar player either. However, some bad quality cable can turn your live performances or studio sessions into a real disaster. So, what are the things you should check when choosing a proper cable? First of all, there is a price tag. These products come in a pretty wide price range. Still, it doesn’t necessarily mean that you have to choose those most expensive to get a decent quality. Good guitar cables can be found already for $10 or something like that. One of the things you should determine first is the length you need. Though longer cables seem to give all the freedom of movement on stage, shorter ones are actually far more reliable. There is much more chance to have issues with signal quality with very long cables. Also, check shielding quality. If you choose some cheap product, there is a lot of chance to hear all those kinds of hums or buzzes. Same goes for jack connectors. Finally, take a look at the overall quality of a cable. If you play live performances, you will need a highly reliable cable that is resistant to things like multiple plugins and outs, rolling, steeping, stretching and much more. 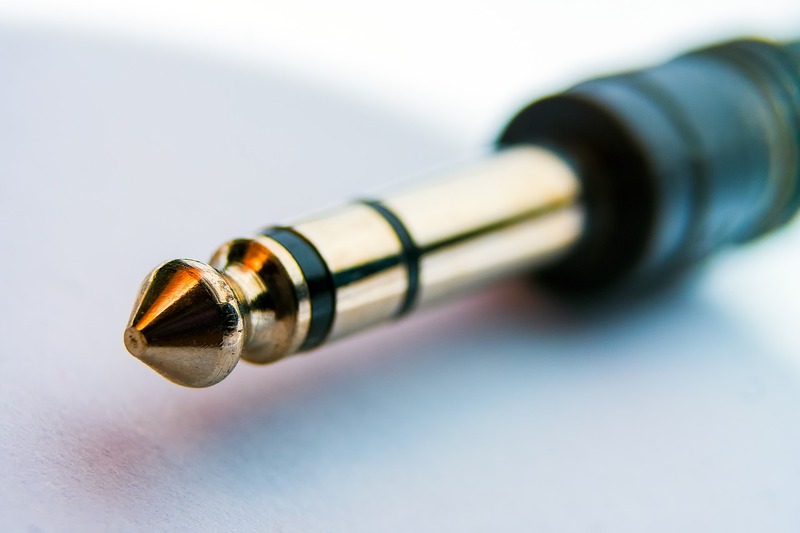 Those would be some of the important things you should check when buying a guitar cable. 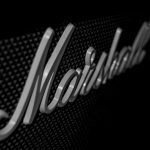 To make things easier for you, here is a short list of some of the best guitar cables you can find around. It includes both budget and top-quality products, so you’ll just have to determine your budget. This is definitely one of those products that simply offers an amazing value for the price. It is a quite affordable guitar cable, which comes with some pretty hi-quality components. First of all, there is a 95% Tinned Copper Braided Shielding, which protects the conductor amazingly well and provides a crystal clear signal. The overall design is pretty flexible. There is a patented Geo-Tip Neutrik plug design, which works amazing. Despite the fact that both straight and angled connectors are available, it just can’t fit some specific guitar models and that would be probably the only weak point of this cable. 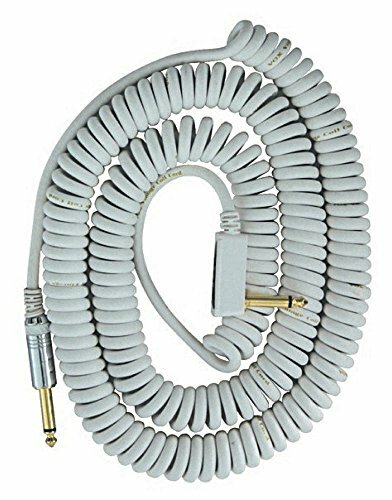 The cable comes in various lengths and according to customers, this cable is extremely reliable and durable, so you can count on months of use. 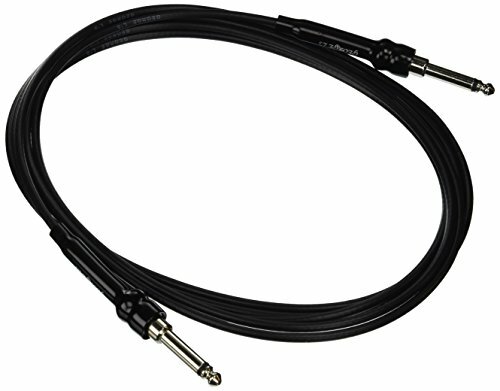 If you are looking for a top-grade guitar cable, Mogami is the brand for you. This is a highly-reputable manufacturer, known for the top-quality cables and the other products. There are three classes of Mogami cables. Depending on the amount of money you want to spend, you can choose between Silver, Gold and Platinum series. As you can see, Mogami Gold is some kind of a mid-range cable in the company’s lineup. From my personal experience, I can tell that this one offers a spectacular quality. It comes with amazing shielding technology, which includes a conductive polymer sub-shield. Along with an oxygen-free copper core, it guarantees perfect signal, absolutely free from any kind of noise. Of course, there are top quality jacks, which come in a gold color in this case. They feature a straight connector design, while the area that keeps connector and cable together looks so durable, that you can bet on an excellent longevity. Definitely, one of the best guitar cables you can find around. A real premium product. 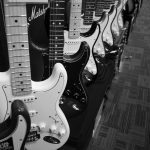 Guitars and their accessories have always been much more than just an instrument. Most guitar players actually care a lot about the visual appearance of them and their gear. This involves guitar cables as well. 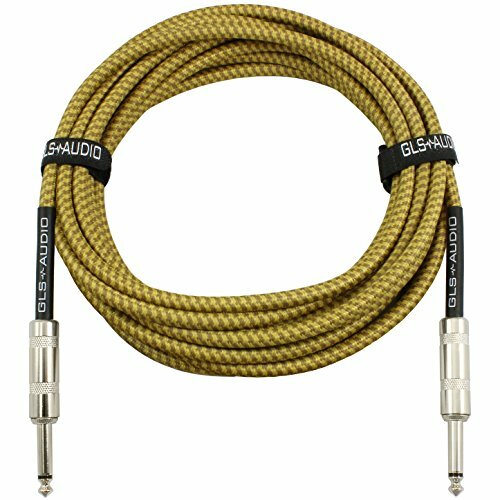 One of those produces that are provide not just clear sound, but interesting look as well is this GLS Audio Tweed guitar cable. The first thing you’ll notice about it is a nice retro cloth jacket. Still, an interesting look isn’t the only thing that makes this cable so popular. Of course, there is a decent quality. 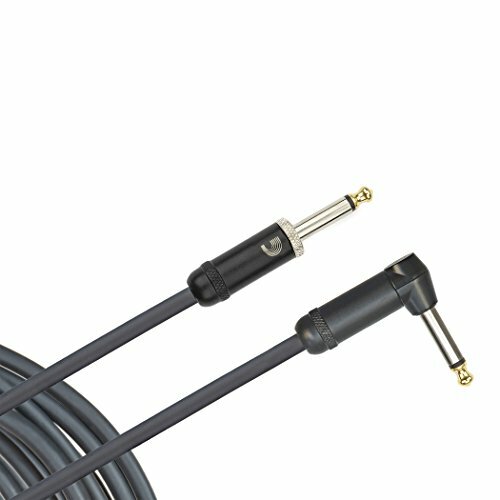 This is a pretty affordable guitar cable, which offers both style and quality. An amazing quality is guaranteed by OFC Copper and Double Insulator Shielding. The cable is also very flexible, what is important for live performances. Speaking of live performances, the cable comes in various lengths, as well as with both straight and angled plugs. A great choice if you’re looking for an affordable but hi-quality guitar cable. Here is another cable with attractive visual appearance. Just like the GLS Audio Tweed, it comes with a pretty interesting retro appearance. In this case, you can count on catchy orange colors that characterize both cable and connectors. Other colors are available as well. Besides the undoubtedly amazing look, this cable is almost completely noise-free. A 20AWG oxygen-free copper conductor and quality spiral shielding with 90% coverage are the most important features of this cable, which guarantee the absence of any kind of noise. The cable comes in two lengths – 10 and 20 feet, while connectors are straight or angled. Also, the manufacturer gives a lifetime warranty. In terms of price, this product is a little bit more affordable than other hi-quality cables like Mogami or Monster, for example. However, that doesn’t necessarily mean that the overall quality is on a lower level. This is definitely a great cable, which offers spectacular noise-free characteristics, as well as great tone quality. Besides excellent shielding, this cable also offers amazing jack design, which guarantees perfect connectivity and stability. The cable comes in two lengths – 10 and 15 feet, as well as in several colors. All in all, a top-quality product that offers amazing clarity and durability. Here’s the one that comes from one of the most renowned names in the industry of guitars and amps. 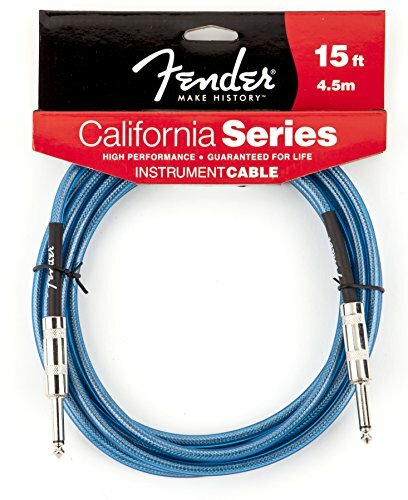 The Fender California is a pretty vintage-looking cable, characterized by excellent durability. The first thing you’ll notice on this product is a super-stiff jacket, which works perfectly for live performances. Despite undoubtedly amazing durability and reliability, some of you could find such design a little bit annoying. 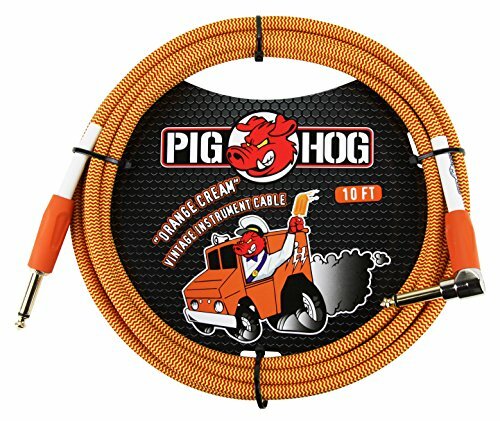 Anyway, this is a very affordable guitar cable, considering the name on it. It features OFC copper and braided shield, which is a pretty reliable combination, which provides plenty of clarity and good tone quality. The cable comes in different lengths, colors and works well on other electric instruments too. If you want to bring a real vintage flavor, this would be a perfect choice. With its old-school coiled design, VOX VCC090 is definitely something that stands out. Besides the look, there is a lot of quality in this cable. A reliable oxygen-free copper guarantees excellent clarity and overall sound quality. The cable is pretty long, though it is hard to tell how the practical length actually is, considering enormous stretching. Also, the cable comes in several colors. Definitely, something that will perfectly fit your AC30 and other old-school gear. All these cables on the list are great. Still, if I have to choose the one that offers most for the price, it would be GLS Audio Tweed. This one has pretty much everything you need – super-affordable price, great overall quality, noise-free work and amazing retro look. 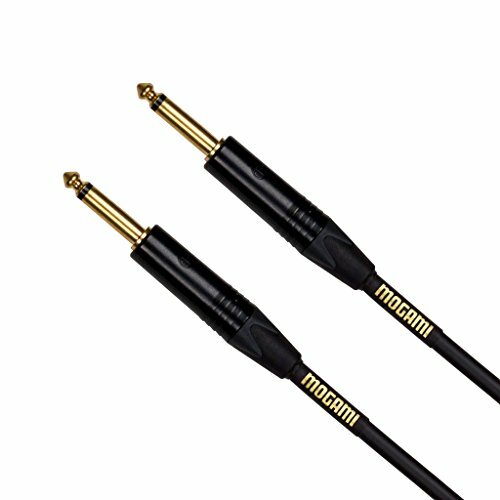 The Mogami Gold is the best cable on my list. Though the price might seem high for some, this is a top-quality product, which besides excellent sound characteristics also offers spectacular build quality and durability. Totally recommended!